Laser therapy aims to photo-biostimulate chemically damaged cells via specific wavelengths of light. When cells are chemically damaged they stimulate the pain cycle. Laser excites the kinetic energy within cells by transmitting healing stimuli known as photons. The skin absorbs these photons via a photo-chemical effect, not photo-thermal; therefore it does not cause heat damage to the tissues. Once photons reach the cells of the body, they promote a cascade of cellular activities. 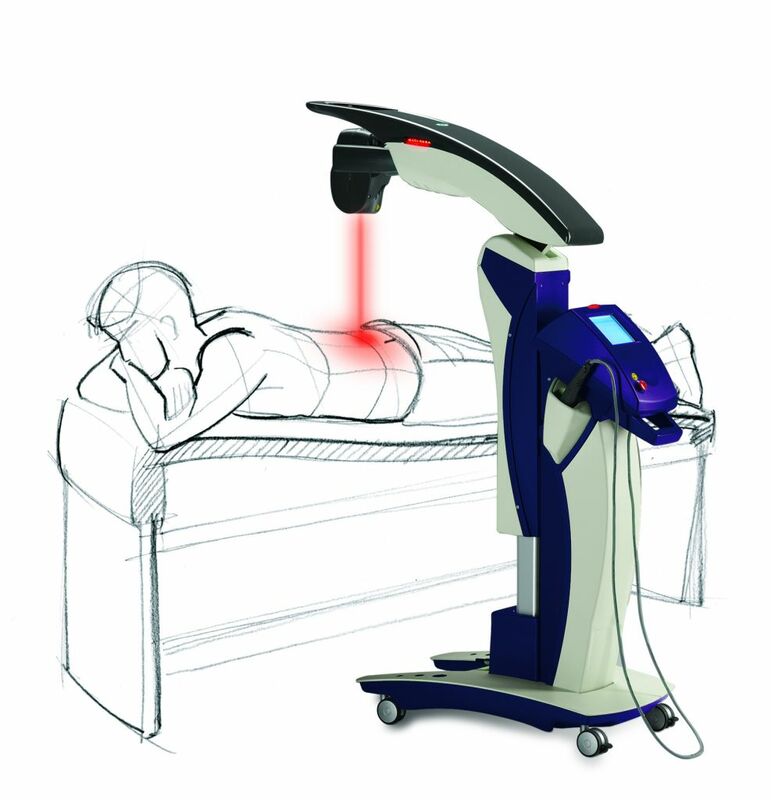 Laser therapy light can ignite the production of enzymes, stimulate mitochondria, increase vasodilation and lymphatic drainage, ATP synthesis, and elevate collagen formation substances to prevent the formation of scar tissues. This is a critical step in reducing long term disabling chronic myofascial pain syndromes. Other formative cells are also positively influenced and immune enhancing effects are increased in the number of macrophages. Simply stated, patients get out of pain faster and heal at the same time. Have Low Level Lasers been Scientifically Studied & Proven? (1) REDUCE PAIN by stimulating cells to produce their own endorphins, natural pain killers. (2) PROMOTE FASTER HEALING by stimulating cells to increase the production of two major healing enzymes by as much as 75%. (3) REDUCE INFLAMMATION by as much as 75%. (4) INCREASE BONE REPAIR SPEED by stimulating fibroblastic and osteoblastic proliferation. (5) RELAX MUSCLES and muscle spasms. (6) DECREASE SWELLING by stimulating lymphatic drainage. (8) RE-ENERGIZE CELL MEMBRANES to allow transport of essential nutrients across cell walls allowing a healthy new cell to grow (nutrients will not cross an injured or sick cell wall, thus slowing healing). The MLS laser is a Class IV laser capable of producing the energy needed to achieve a therapeutic dose for superficial as well as deep tissues. In addition, it also has a patented technology call "Multiwave Lock Sync" which enables less scatter for deep tissue treatment. The M6 Robotic MLS Laser also helps minimize human error by robotically applying the individualized correct therapeutic dosage needed for each patient. Lupo Chiropractic Center is one of the first clinics in Michigan to offer their patients the latest advance in safe, comfortable and highly effective pain relief and tissue repair. The Cutting Edge MLS M6 Laser is one of the most technologically advanced therapeutic Class IV lasers approved by the FDA. 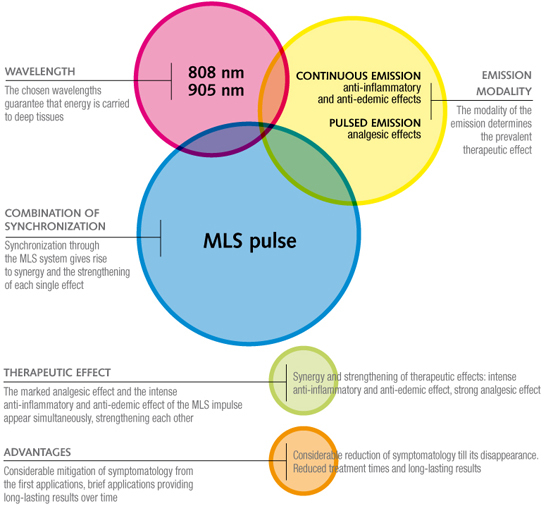 The MLS Laser is capable of delivering over 100 times more healing energy than the most powerful devices of the previous generation (Class III – ‘Cold Lasers’ – LLLT – Low Level Laser Therapy).